At Makita, we always keep our customers in mind in our aim to improve home construction and living environments around the world as a comprehensive international supplier of tools. We are continuing our total commitment to becoming a global enterprise that contributes to the betterment of society. Underlying all our corporate activities are our four principles: “A management approach in harmony with society,” "Managing to take good care of our customers," "Proactive, sound management," and "Emphasis on a trustworthy and reliable corporate culture as well as management to draw out the capabilities of each employee. 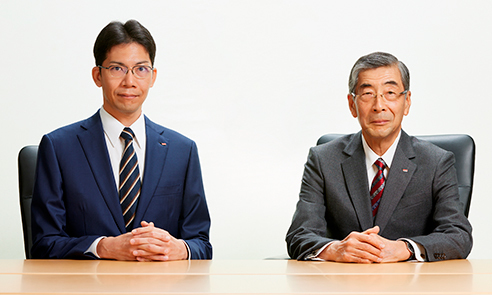 "Based on these principles, Makita will work to become a "Strong Company" through the development of products that are both user- and environment-friendly. In other words, by working to win and maintain the leading share of the global market for professional power tools, we will be doing our utmost to contribute to society. We wish to thank you for your help in the past and look forward to your continuing guidance and support in the coming years.